We understand that a desktop computer is one of the most essential components for your life; an important element that carries every information and data of your business and keeps you going with your daily bits. Thus, it becomes pivotal to take all the vital safety measures to keep it far from any possibility of malfunctioning. Also, we certainly see how traumatic it will be for you if it gets harmed or when the exceptionally quintessential hard disk crashes or a software fails. But what if we told you that we have come here as your genie who could mystically (well, not literally) repair your valuable computers back to normal in a jiffy? Yes you heard us right. Premium IT Services is your one stop answer for all your computer related issues and its repair. And, we mean it truly. We are highly equipped with every one of the tools and technological advances and in particular a group of master experts who will recover your prized computers back to normal; and that extensively like a “speedy ride”! 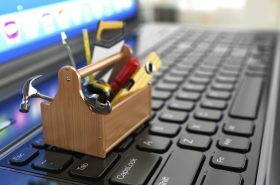 Talking about computer repair in Bray, we can cater to any sort of Computer Repair of any manufacturer. We have a keen group of profoundly gifted specialists, who are prepared to have some expertise in the zone, as well as have years of experience so far as that is concerned. Consumer loyalty is our definitive objective. We are committed to give you just the best nature of services; which we never bargain with. Our clients depend on us for the first rate services which they get, and thus, we have been effective in building a prolific long term association with them. We warrantee every one of our services and that makes us unique in relation to the others in the market. It doesn’t make a difference how complex a circumstance is, our team of experts is highly talented to deal with them well, with an extreme level of care and concern. We give instant and successful services to the accompanying key issues. Let not your mobile computer malfunction and hamper your daily business for long. Visit us at the earliest and get it repaired within a jiffy. We guarantee you will not be disappointed at any level! For more information about Computer Repair in Bray, call us at 0831264344 or simply shoot us an email at michael@premiumit.ie. We will be happy to assist you!